"In the project “Something from here” I chose to observe the routine of israel’s landscapes and to Isolate the presence that disappears in the ordinary daily life. The collection of photographs strengthens a local story. The observers have the freedom to build their own plot." 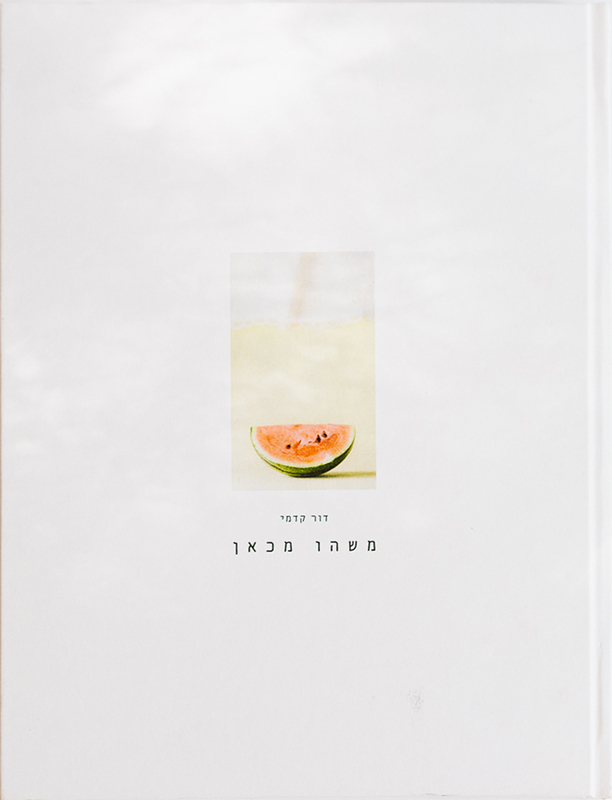 Dor’s book is a beautifully poetic book that documents the life in Israel. 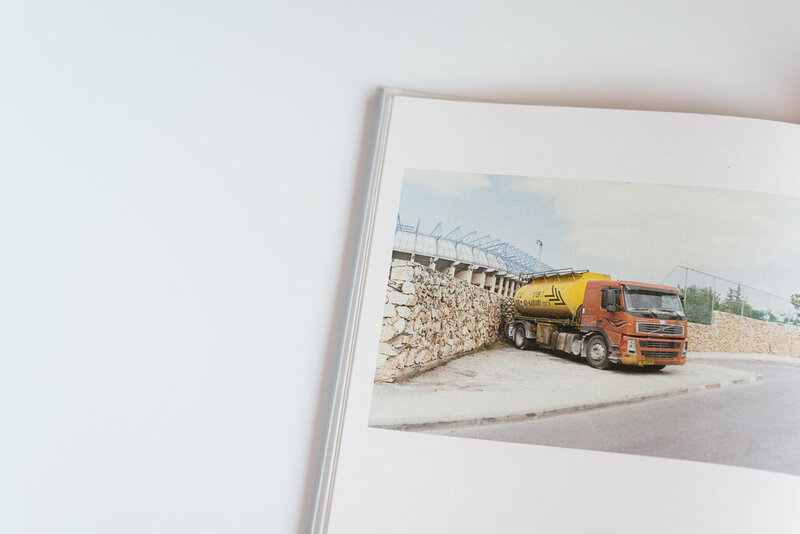 This book explores what is Israeli everyday life and routine in his eyes. From the beach, to the old city of Jerusalem to your military service, this book touches on different experiences that Dor himself is apart of, in addition to observing others. They are all metaphors to what life in Israel is, in addition to very concrete and specific situations many Israeli’s can relate to. 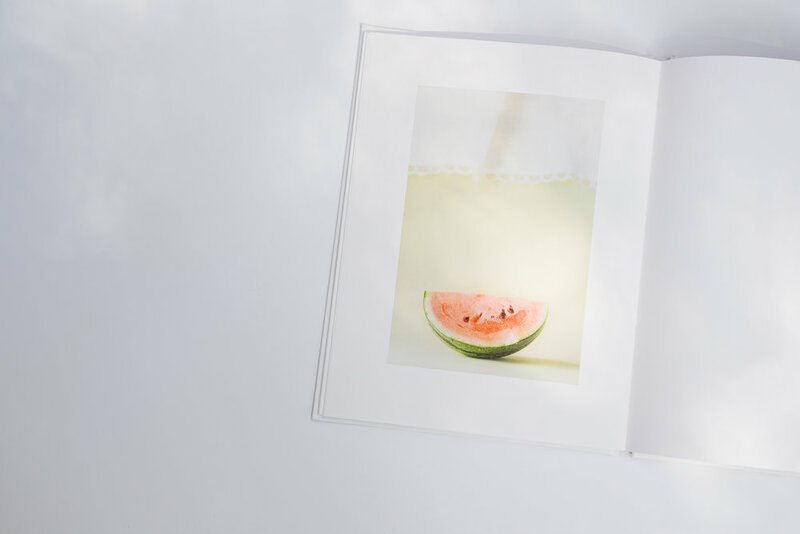 One of the first images in the book is of a watermelon on a very pale yellow background. This watermelon is symbolic to the Israeli nature, culture and environment. In a hot country like Israel, the watermelon is a cold and refreshing treat that many eat to cool down, it became a symbol of the culture and the Israeli landscape. Right after that picture, we see a concrete truck parked in a stadium lot. This shift represents so much about the mentality and the paradox of Israel – from summer and fun, to concrete and harshness. All of the images in the book feel pale, washed out, dusty. 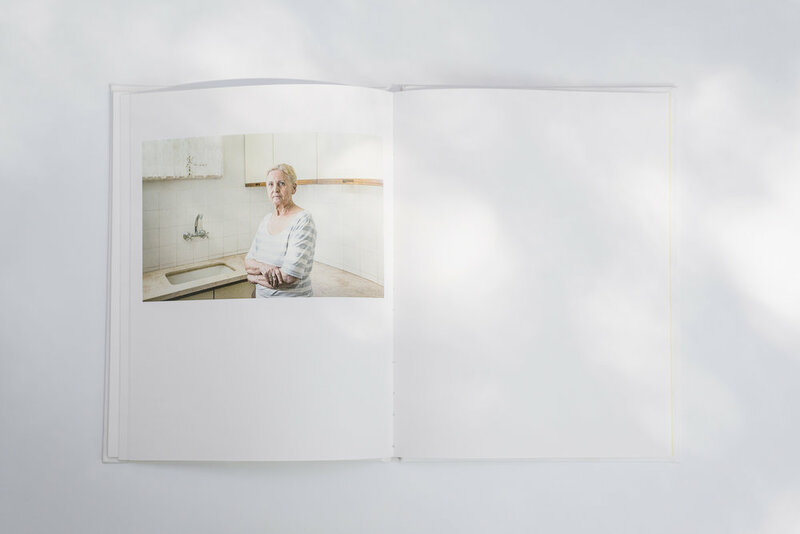 This gives the images and the book a nostalgic feeling to it, and more over a naïve look. The pastel colors juxtapose to both the subject matter sometimes photographed (such as military) or to the reality we know about this place. But, saying that, there is something sweet and hopeful about his book. It seems as if everything is coated in the same colors, everything blends together perfectly, and there is something romantic about it that changes some of our views or misconceptions. Some of my favorite images are of the soldiers. They seem as if they were taken out of an art book, having a brake in this meadow, blending in to the background, smiling and at ease. They seem to be unrelated to their landscape, they do not look ‘Military’ but more like young men enjoying a summer day, but they are in fact wearing uniform. There is always a reminder of their presence, the military, even in ordinary civilian photos on the street, these little hints, going back and forth between the two states of minds is a powerful tool in this book. The short text following the book, these little poems or haiku’s , although in Hebrew and not everyone might be able to understand, are little gems that guide us along the book.